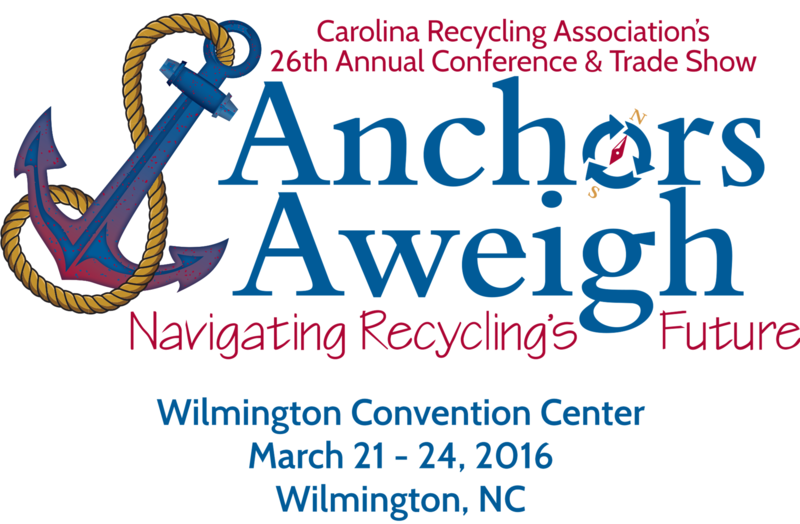 Join us March 21 - 24, 2016 at The Wilmington Convention Center for CRA's 26th Annual Conference and Trade Show, "Anchors Aweigh: Navigating Recycling's Future". We will discuss new recovery strategies, identify new materials, address new opportunities and explore new horizons. If you are registering your company, you are Registrant #1. Please add your additional included registrants (Registrants #2, #3, #4) by clicking the "add guest" button during registration. After adding the registrants allotted for your sponsorship type, you may purchase additional registrations at a reduced price of $285 through the main registration page. Please select "Sponsor Additional Registration" as your registration type. Exhibitors, please note we are using an interactive tool for exhibit booth selection and you will be able to select your booth upon completion and payment of your registration. All cancellations for CRA conferences and events must be provided to the CRA in writing. Phone cancellations will not be accepted. No-shows will be invoiced for the full event amount. Refunds will be issued as follows: Prior to February 19, 2016, 100% of the event price less a $50 administration fee. Any cancellation less than 30 days prior to the event will not be eligible for a refund, but the registration may be transferred to a substitute. Substitution will be made up to the date of the event if requested in writing. CRA reserves the right to adjust the cancellation policy.